Growing up with a mom that constantly tried to teach him how to sew, it was inevitable that Marmon was going to do something with fashion. David Marmon, 26, takes time from his busy work and school schedule to take a break at his second home, the South Gate Mall. Never dressing anything less than fabulous, Marmon showcases his style. Working at Express for over 6 years, David Marmon, 26, is a local celebrity at the South Gate Mall in Sarasota, FL. Standing outside on break, customers recognize him on a daily basis. Wanting to focus more on mens' clothing, Marmon is a fashionisto himself. Standing against the 1MX shirt wall in the Sarasota Express, Marmon shows his colorful side. Sitting on the mens' side of the Sarasota Express, Marmon takes time to relax on break. The jean wall is a constant struggle to keep neat as he sits next to it. "I can't lie...I love a beautiful sweater. 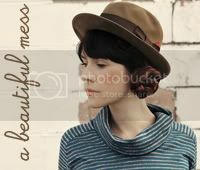 More specifically I have a blue striped turtleneck from the 70s...it's gorgeous. You can't go wrong in a good knit. " If you are ever in Sarasota, stop by Express. Marmon is a great stylist with bold choices. He is daring, trendy and will give you the hottest look around. I miss Him and Florida so much.